> What Are the Best Credit Cards for Students with Bad Credit? For people with bad credit, getting a credit card can be challenging. Most banks are hesitant to approve credit card applications especially when they see that you have previous bad records in paying back your loans. It gets more challenging for students who have bad credit. Unlike people who are working, students do not have a steady source of income, unless they are getting support from their parents. However, this does not necessarily mean that you cannot get a credit card. There are still companies that will approve credit card applications. The question as to whether you need to get a credit card depends on so many things. There are instances when you really need to have a convenient way of purchasing things online. Without a credit card, it will be really difficult, especially now that merchants prefer to accept credit cards instead of cash. Another advantage is that having a credit card allows you to track your expenses. You don’t need to bring a lot of cash. Whenever you go to the store, just swipe your credit card and you are good to go. The problems that usually arise are that once you start using your credit card the wrong way. Just because you are given a line of credit does not necessarily mean that you need to use it to purchase anything you want without even being sure if you can pay back what you owe. Unfortunately, there are so many people who fall into this trap of using their credit card to buy things they don’t really need. These can be a big problem, especially when you need to pay your monthly due and you can no longer afford to pay it. But if you know how to handle and manage your finances, having a credit card actually helps in so many ways. Should you get a credit card? The answer is definitely a yes. You just have to learn how to control your spending to make sure that you do not go over the budget and you pay on time. Banks are not that strict when it comes to credit card application as long as you submit all the required documents. But it gets more difficult if you are a student with bad credit. Banks don’t just approved credit card applications. Does this mean that students can no longer get a credit card? Yes, they still can. There are many credit cards for students with bad credit. Unsecured or Secured Credit Card? Credit cards are divided into two categories. One is secured and the other one is an unsecured credit card. Do not get confused as these two cards are not entirely different from each other. For unsecured credit cards, it only means that you don’t have to put down any collateral for your credit card application to be approved. With a secured credit card, it means that you need to pay a deposit. Your deposit will serve as your credit line for you to start using it. Which one should you get? You should always go for an unsecured credit card. With this kind of card, the interest rates are not as high and you can also have different rewards. On top of that, you don’t have to fork out cash because there’s no deposit. But then again, it all depends on the terms and conditions of the credit card. There are cases where there are companies that offer secured credit cards with very attractive features and benefits. You just have to know the terms and conditions and weigh the different options that are available to you. 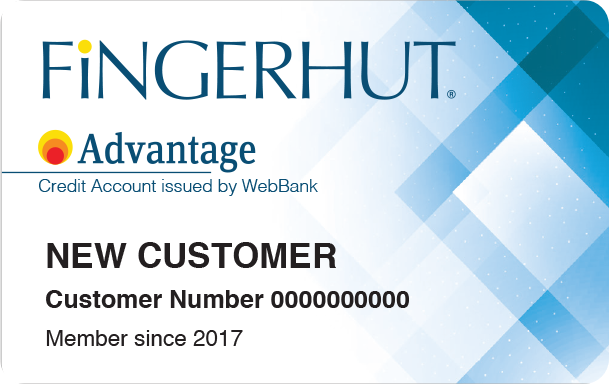 For students with bad credit, one of the main options is for you to apply for a FingerHut Credit account. It is not an access card but it gives you a line of credit. Application is also very easy as it only takes a matter of seconds for you to receive a credit decision. This account allows you to rebuild your credit profile as the company reports to the major credit bureaus. On the other hand, if you want to use an access card for shops that accept Visa or MasterCard, this may not be the best option for you. 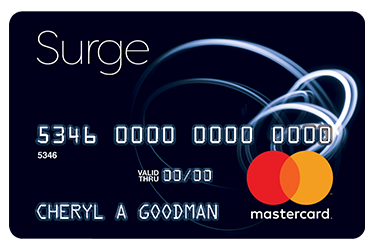 In applying for Surge Mastercard, you don’t have to worry as they accept various credit types. It means that even if you have poor credit score, it does not automatically disqualify you from getting a credit card. With this credit card, you can use it in all shops that accept MasterCard. The application process is a breeze. You also get online account access so you can monitor your account any time of the day. The only downside of this credit card is that you are required to have a checking account. 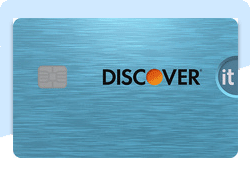 One of the main reasons why the Discover It card is a really popular choice is that it gives you a lot of rewards. The cash back rewards of this credit card is around 5% or can even be $1500, depending on the purchases that you make. When you purchase any item, you get one percent cash back. Another benefit of this credit card is that unlike other options, you do not have to pay for any annual fee. Every year if you are a good burrower, they give you an annual cash back bonus that amounts to $20. 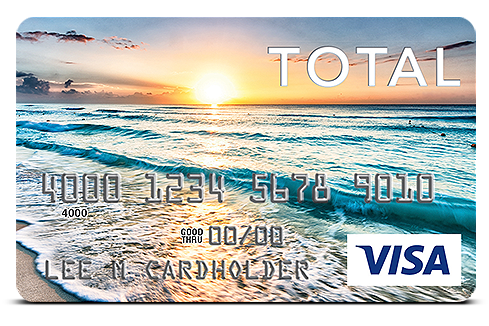 Total Visa credit card requires a checking account period. The application process is not that difficult. You can get the response you need in just a matter of minutes. You can use this card in all shops that accept visa anywhere in the US and for online purchases. With the monthly payments more manageable, you know you are able to make payment on time and start building your credit. They report on a monthly basis to all the major credit bureaus, so you can use this credit card to establish your credit score. Once your application is approved, all you have to do is to pay for the processing fee and you can access the available credit depending on the assessment of the lender. 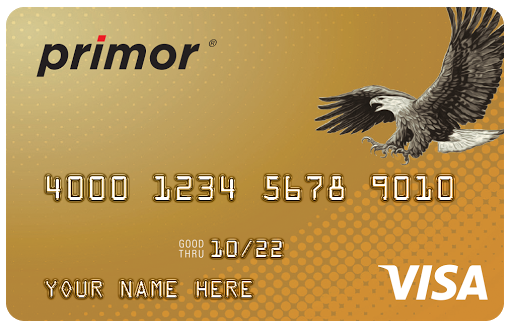 A credit card that is specifically designed for students with bad credit. 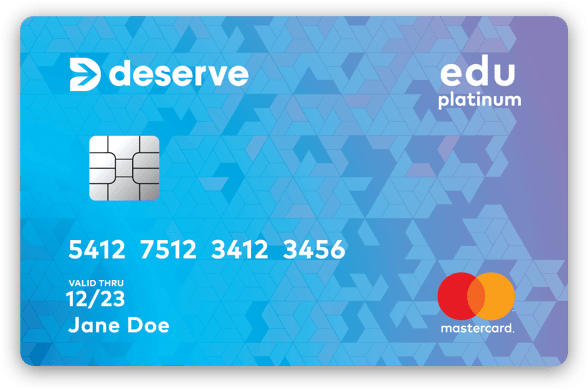 The Deserve Edu Mastercard is a good choice especially for those who want to build their credit. It gives you different perks, for instance you can have cash back rewards and you can also get credit to be an Amazon Prime student. To get unlimited cash back which is 1%, you need to make eligible purchases.You do not have to pay for any annual fee. This particular credit card gives you a bigger credit line. You can have $200 up until $5,000 depending on the assessment of the lender. The interest rate is at 9.99% and they don’t have any penalty rate period when applying for this credit card. You don’t have to worry about credit score requirements. All credit types are very easy to apply. Unlike other credit cards that require you to pay for annual fees or application fees, you don’t have to worry about these fees. As the company reports to the credit bureaus, you get the opportunity to use this credit card to build your credit. In terms of application, the process is quite easy. You just need to open a personal savings deposit account for you to secure your credit line. This credit card may not be receiving good ratings, but you may still want to check it out. It allows you to have a credit line ranging from $200 to $2,000. The only downside of this card is that you need to have a deposit which is fully refundable. You can use the card in all places that accept MasterCard. Whether you want to make a purchase in the US or shop online, you can be assured that you can use this credit card without any problem. The application process is not that difficult since the do not look at your credit history. Even if you have a bad credit score since you can still apply for one. The company reports on a monthly basis for all of the credit bureaus so you can further established your credit history. Once you pay off the balance, you can get back the deposit. 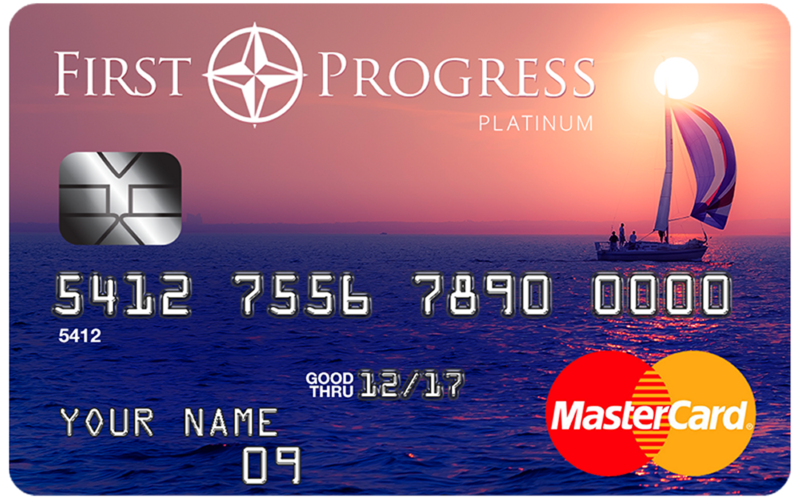 In getting the First Progress Platinum Elite Mastercard, the interest rate is at 20.49%. 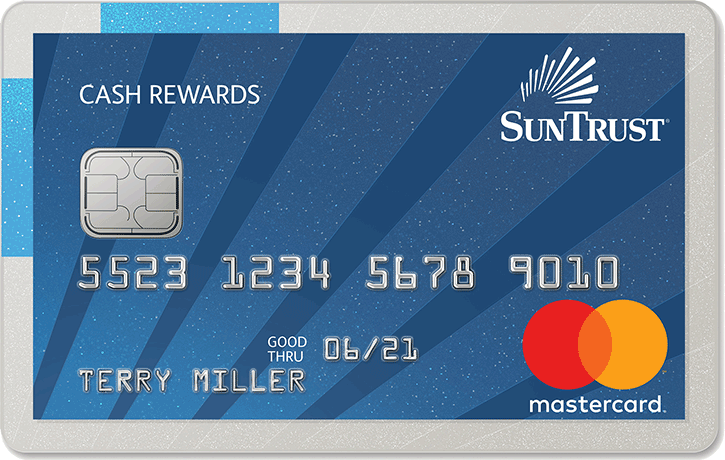 The nice thing about Suntrust Secured Credit Card is that it comes with lots of cash rewards. It gives you cash back whenever you use the card to purchase any items. They have specific category purchases that will give you additional cash back bonus. For instance, when you use your card to pay for your grocery and gas, you can have up to 2% cash back and the rest is 1% cash back. In getting this card, you have to pay for the yearly fee of $32. Traditional banks are really strict when it comes to approving credit card applications. Most of the time, they consider whether you have consistent income along with your personal profile and credit history. But there are credit cards that are owned by credit unions. They are not owned by a group of investors but rather by its members. They are more flexible and they are not as strict as the banks. Can you apply for this type of credit card? In general, you need to be a member to apply for a particular credit card. But it does not apply all the time, sometimes you just need to be a student in that particular area in order for you to qualify. The Altra Student Visa Credit Card offers a lot of purchase rewards, bonuses, and other benefits that you cannot find in other credit cards. For every single dollar that you pay for your purchases within the first two months, you can double your reward points. Using your card responsibly also allows you to get a $20 bonus every year. How about the annual fee? The Altra Student Visa Credit Card does not have any annual fee. Another great choice for students is the Golden 1 Visa Platinum Rewards. It gives you various purchase rewards along with different bonuses whenever you use your card to pay for your gas, grocery or even when you use it in restaurants. When you use the card for your purchases, you can have 3% cash back on grocery, gas, and restaurant transactions. 1% cash back on all purchases. By using the Golden 1 Visa Platinum Rewards for Students, you do not have to worry about the annual fee. With the Patelco Progress Student Rewards Mastercard Credit Card, you can enjoy several reward points that do not expire. You can use these points to enjoy bigger savings. As long as your account is open and active, you can have active points. When you use your card, you can earn rewards, especially when you use your card to pay for grocery store purchases. Have 1x point when you use your card on other purchases. They do not charge any annual fee, unlike other credit cards. This is a good option if you want to build credit. 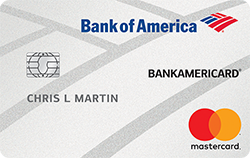 With BankAmericard Credit Card, it is specifically designed to help students build their credit. This card may not have a lot to offer when it comes to rewards. The annual percentage rate for purchases range around 14.99% to 24.99%, which is relatively lower compared to other credit cards. In this digital world where everything uses cards and online payment, it is very convenient that you have your own credit card. Then again, the reality is that so many people have trouble with their credit score. In this case, you can always find other options to have your credit card approved. But this does not mean that you can just rely on this option alone. Your end goal should be working towards improving your credit score. These means that you need to strive hard to make sure that you manage your finances well and pay back your loan or your monthly credit card dues on time. When you have a good credit score, you have so many options. You can have access to different kinds of credit cards that offer lower rates, fees, and much better terms and conditions. You are not restricted to those lenders that may have less than favorable terms and conditions. Before you finally finish school, it helps that you head off to a good start. Clean up your credit or at least start making the right choices. Things are never easy the moment you step into the real world and start earning your own money and work. It helps that you know how to handle your finances well.